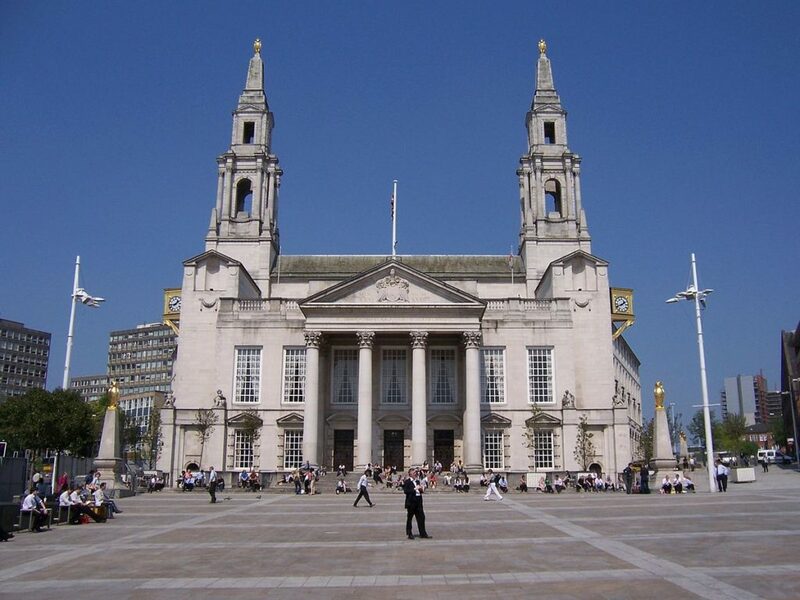 Contact Leeds City Council on their UK phone number 0113 222 4444 for general enquiries about the services they provide within your area of the city. You may also dial this number to request the contact details of a specific councillor, department or the mayor to voice your concern regarding a specific public statement. Moreover you should call this helpline to check the date of your next bin collection and to confirm what items you can recycle. Leeds City Council’s telephone numbers are open from 9am-5pm Monday-Friday, however you may expect closures during UK bank holidays. Calls are charged at standard local rates which means under normal circumstances you will pay your provider an access charge and a per-minute rate. However you can contact the council for free if you receive the use of inclusive minutes as part of your landline deal or mobile tariff. Contact Leeds City Council on their office telephone number 0113 222 4404 for all enquiries about paying your council tax contributions. For instance new residents to the city can phone this helpline to confirm which tax band their property falls into and to check if they are eligible for any discounts or exemptions, such as the dispensation available for students. You should also call this number to make a payment towards your council tax over the phone, to amend your direct debit schedule and to report if you are experiencing difficulties when making your contributions. Phone Leeds Council for free by calling their freephone contact number 0800 188 4000 to apply for council housing, to make a payment towards your rent and to request a repair. If you are planning on moving home you can call this helpline to begin the handover process, which is also applicable if you wish to transfer to another council house (for instance should you wish to live closer to your family or place of work). You can even phone this helpline for advice and support with your private accommodation, for example the council has the power to enforce that landlords make the appropriate repairs to private property if they are refusing to ensure that they are providing appropriate living conditions. Phone the Leeds Council planning department on their dedicated contact number to track an existing application, to confirm whether you need permission to extend your property and to request a survey. You can also phone this number to report a violation of a historic property, a tree preservation order (TPO) or a dangerous structure which needs to be made safe. Moreover if you wish to attend the next planning consultation in Leeds or to complain about a new building which does not adhere to pre-agreed agreements as to its size you may phone this number to file a grievance. Phone the Leeds City Council records department on their UK contact number 0113 222 4408 to register a birth or death in the local area. Moreover you may dial this helpline to book your wedding or civil partnership ceremony at a council-owned venue such as your local registry office. Contact Leeds City Council on their customer care phone number 0113 222 4405 to make a formal complaint about a councillor, member of staff or regarding a service they provide. For instance if your local collectors have missed a bin collection, if you have been let down by their social care staff or your council house is in poor condition you can call this helpline to file a grievance. Alternatively you can send a letter of complaint to their head office address: Leeds City Council, Civic Hall, Calverley Street, Leeds, LS1 1UR, United Kingdom. Contact Leeds Council on their mental services phone number 0113 222 4401 to access adult social care within the city. This includes their various support centres throughout the area, receiving care in your own property and residential care homes. Moreover if you suspect that an adult is being abused or neglected you can call their helpline anonymously so that their care staff can investigate the issue accordingly. Call Leeds City Council on their telephone contact number 0113 222 4403 to report a child protection concern, for further details about the care system and for adoption enquiries. However if you suspect that a child is in immediate danger you should instead phone the emergency services using their 999 helpline. Contact the Leeds Council homelessness support team on their dedicated phone number 0113 222 4412 for advice if you have been evicted from your property, to find your nearest shelter and to confirm the times of their drop-in sessions. Please be aware that this helpline is only open from 8am-5pm Monday-Friday, however an out of hours helpline 07891 273 939 is available for emergencies outside of these opening times. If you have an emergency enquiry or have a matter that needs to be resolved outside of the usual opening hours for Leeds City Council it is recommended that you call their range of out-of-hours helplines provided below. Please ensure that you phone the relevant department for your query so that the matter can be resolved as swiftly as possible. If you are too busy to telephone Leeds City Council you may instead choose to send your enquiry in writing by either posting a letter to their office or by using their email address. Alternatively you can now send requests for assistance using their official social media profiles. 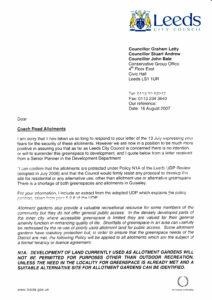 You can write to Leeds Council by sending your letters directly to their office address which is located within the city centre. Please be aware that it may take them up to a week to reply to your post hence emergency enquiries should instead be directed towards their telephone helplines. Send online messages to Leeds City Council using their email address general.enquiries@leeds.gov.uk where you can enquire about care services in your area as well as requesting a repair to your council house. The email service is open 24 hours a day however it may take up to two working days to receive a reply. Residents can send messages to Leeds City Council via their range of social media profiles, where you can also find out about upcoming planning meetings and changes to your bin collection dates.